A sunset from the top of Shwesandaw Temple in Bagan, Myanmar. 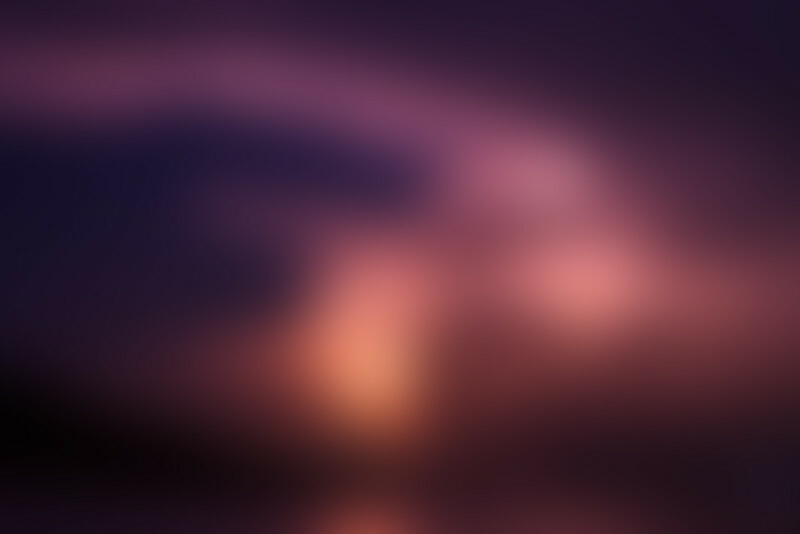 As the sun was just about to dip below the distant hills I caught sight of this horse and buggy riding away. 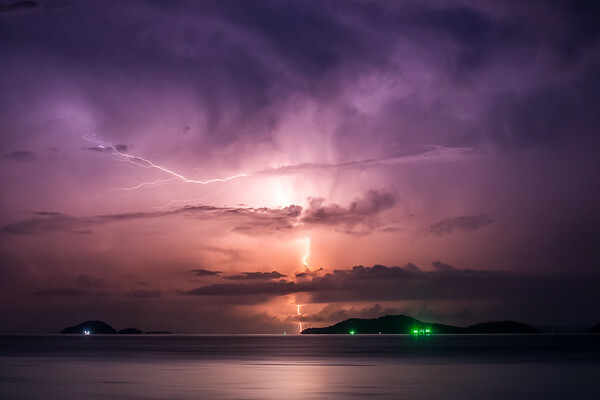 Lightning over a Thai bay - this is one image, not a blend. 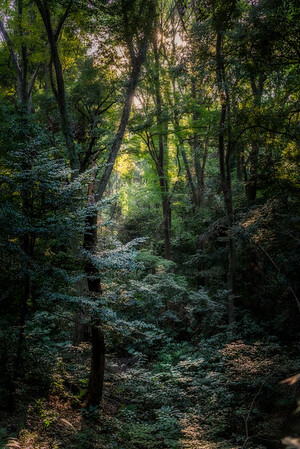 In Tokyo there are areas of complete peace where you can forget you are in a bustling mega-city. 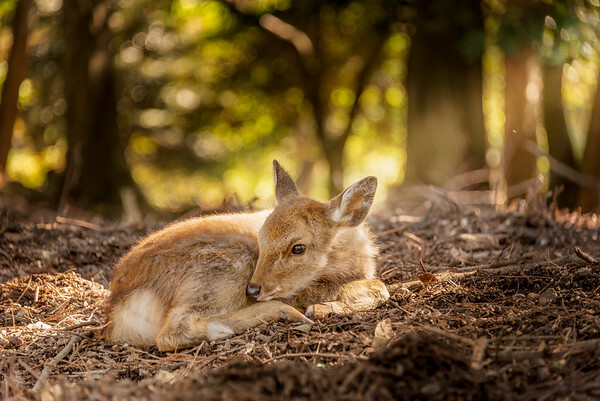 A baby deer at rest, taken in the forests around Nara, Japan. 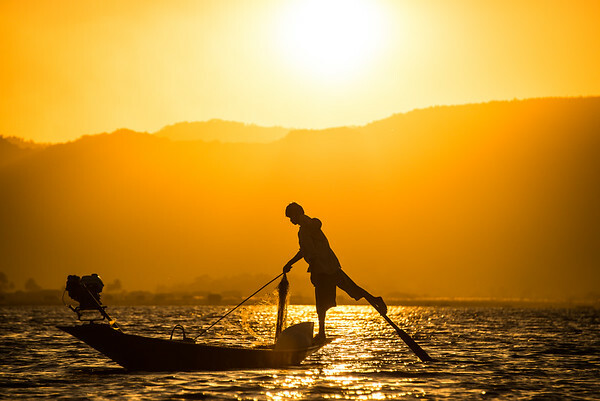 A fisherman at dusk on Inle Lake, Myanmar stands in the classic leg rowing pose. 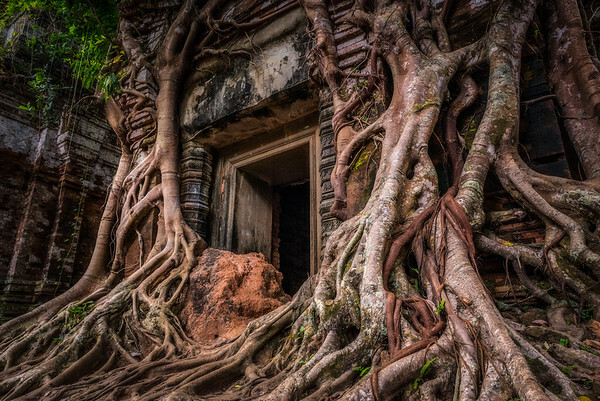 Prasat Pram, Cambodia. There's something reassuring about this place. 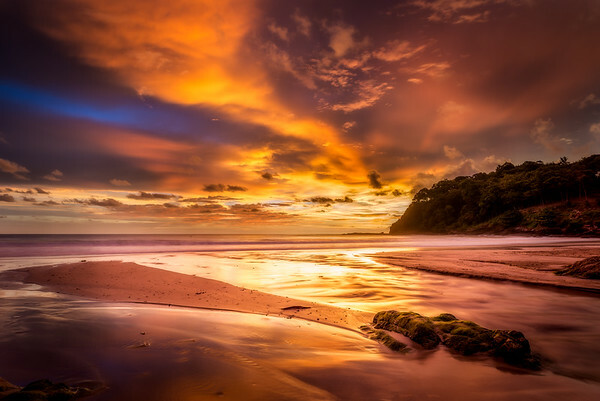 It makes you realise just how quickly nature would reassert itself if humans weren't around. 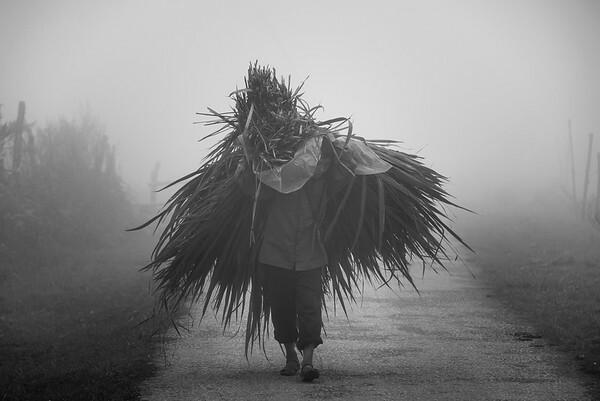 A man in Sapa, North Vietnam lugging palm fronds down a narrow country path. 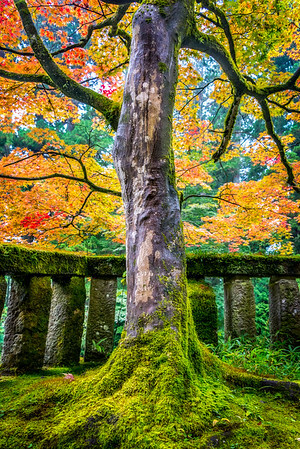 A Japanese Maple at the shrine of Tokugawa Ieyasu in NIkko, Japan. Temples as far as the eye can see in all directions. 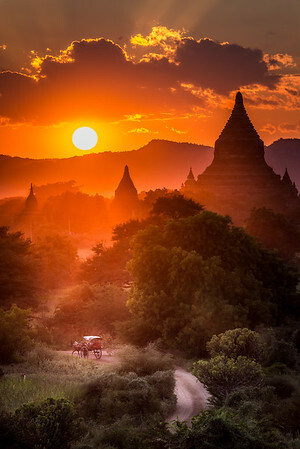 Bagan today has 3,122 pagodas within 42 square kilometers. 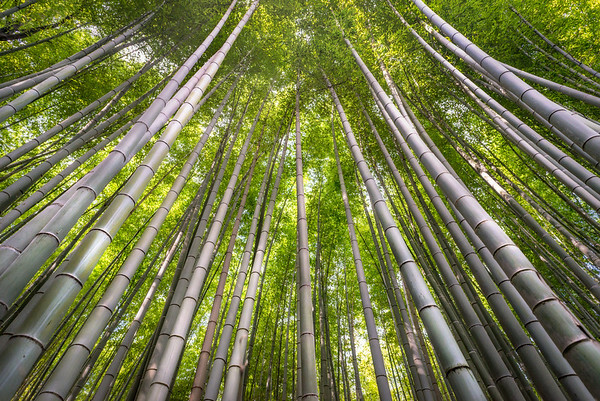 In its heyday there were over 10,000. 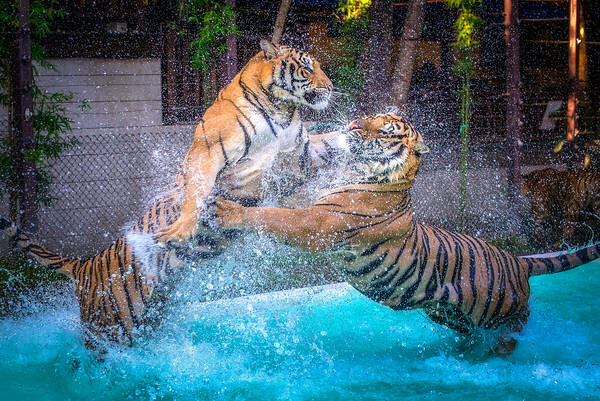 Two tigers having a 'minor disagreement' in the water at Tiger Kingdom outside of Chiang Mai. 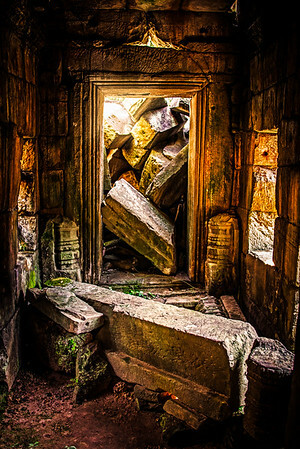 Exploring inside one of the ruined structures at Banteay Chmer. 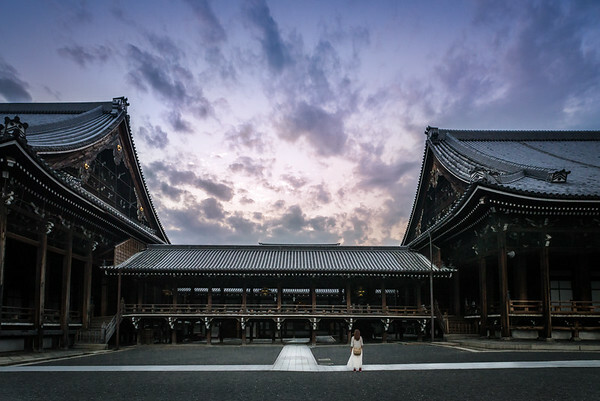 A young woman stops to admire Honganji Temple in Kyoto, Japan.